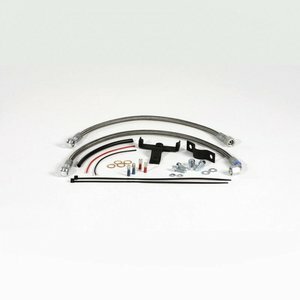 BMW R2V Boxer Oliekoeler Verplaats Kit. 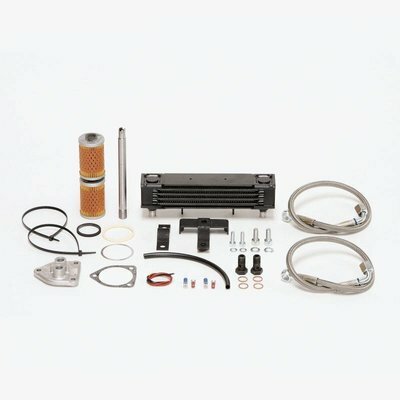 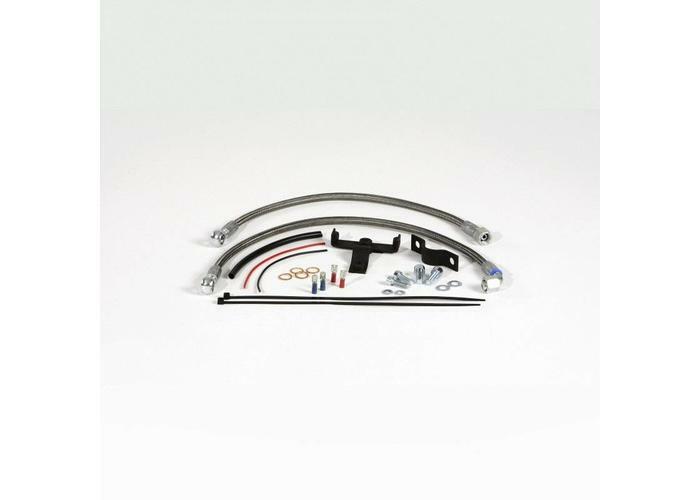 With this kit you can relocate the oilcooler from the crash-bar to the middle under steering-head. 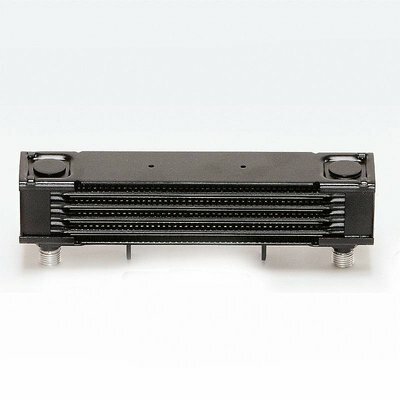 For the R 100G for example.